When purchasing a new vehicle, the manufacturer’s warranty is there to cover the cost of repairs for the warranty period. 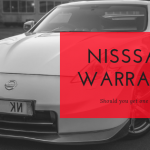 You can get an extended warranty through a third-party company that will provide you a warranty on your car for an even longer period of time. It’s an ideal contract to have. After all, car repairs aren’t cheap, right? The thing is that when you sign a contract, there are always two sides of it. The warranty provider takes the responsibility to cover the cost of repairs for the vehicle if it exhibits issues. At the same time, you need to make sure that you hold your end of the bargain so that the warranty doesn’t become void. Of course, nobody will ever void the warranty on purpose. It’s always unintentional and that’s because people don’t realize they’ve done it. We’re going to take a look at what would void a car warranty. This will help you understand what you should and shouldn’t do to avoid warranty issues. What Will Void Your Car Warranty? The car warranty remains intact as long as you take proper care of your car and hold your end of the deal with the contract. You want to know what would void a car warranty? Here are some of the things people do that end up with their warranty being voided by the manufacturer. This is something you can look at in so many ways. Misuse of the vehicle can include racing, any kind of competitions involving the vehicle and using the vehicle for off-roading when it is not made for it. Basically, if you’re using the vehicle for operations or in conditions that are beyond its standard operations, it can be considered misuse. Vehicle manufacturers can and will revoke the warranty if you abuse your vehicle. Even when there is no exact proof that you’ve been abusing it but the signs of abuse are there, they can deny your warranty claim. Using the vehicle outside its normal operating conditions is one thing; but salvage title is an entirely different matter. When people think of what would void a car warranty, this doesn’t even occur to most. If you’ve bought a car from someone else and the car was previously involved in a severe accident, it can be given a salvage title (basically declared a total loss). Now, the person you bought it from could have had it repaired and sold it to you in working condition. When you purchased the vehicle from the previous owner, the applicable warrantees transfer to you. The thing with salvage title vehicles is that their warranty program no longer covers the warranty. If you purchase a pre-owned vehicle and it has a salvage title, any warranty you think the vehicle might have is void. One of the things on the list of what voids a car warranty is any tampering with the vehicle’s odometer. In case the odometer is tampered with, disconnected or replaced, the warranty becomes void. There’s no way to tell the exact mileage of the vehicle if the odometer has been tampered with. When manufacturers design vehicles, they go through a lot of effort to determine the fluids that will get the best out of their vehicles. One of the aspects of what would void a car warranty is the use of improper fluids. People disregard the recommendations by manufacturers and utilize fluids in their vehicles that they themselves think will work best. This can be due to a number of reasons. It could be more economical for them to use the fluids they do. They might also use it because of unavailability of proper fluids at the service shops near them and it’s too much effort for them to go to the manufacturer’s warranty service centers. When you use the wrong fluid in your vehicle, there is a high chance that it won’t provide proper lubrication to the engine and cause severe damage to the vehicle. Manufacturers analyze the fluids used in vehicles to determine whether or not they should void the warranty claim. Another item on the list of things that would void a car warranty is the use of aftermarket parts or modifications. While you might think that simply having an aftermarket part installed in the vehicle automatically voids your car warranty, it doesn’t work that way. 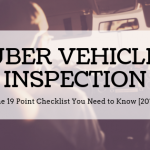 According to the Magnuson-Moss Warranty Act of 1975, a dealer needs to prove that the installation of the aftermarket part has caused the vehicle to need repair before it can deny coverage. 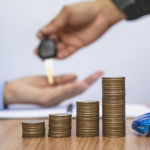 Keeping these factors about what would void a car warranty in mind, there are certain things you can do to avoid the situation. Make sure you never abuse the vehicle. Use it for only the intended purpose and operate it in conditions that are standard for the vehicle you’ve purchased. Use only the recommended fluids for your vehicle. 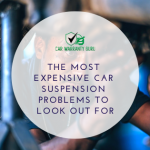 While the car is in the warranty period, make sure you stick to the recommended service schedule and retain the service records by keeping all the receipts. While we’ve covered some of the major aspects of what would void a car warranty, it’s better to go through your car’s warranty thoroughly. You should make it a point to read the “What’s not Covered” so you know what’s not covered by the warranty. Avoid the use of aftermarket parts since they can void the warranty if they are indeed the source of problems for your vehicle.